Ben and Jeff approached me a couple of weeks ago and asked if I’d like to read a copy of their book, Debt Heroes. They released the book as a companion to the Debt Movement that Jeff started back in February. They even offered it for free on Amazon for a couple of days. I was hoping to release this review during those days, but I just couldn’t get it finished in time. Unfortunately, it’s back up to it’s regular price of $2.99 (free for Amazon Prime members). That’s probably good for me, as I’ll be using my Amazon affiliate links to link to the book here, but I’m a bit disappointed that you won’t be able to take advantage of the free deal. Ben and Jeff set out to write a book about debt heroes. Everyday people that you and I, the readers, can look up to as heroes in the fight against debt. Inside the book, you’ll find profiles of 21 debt heroes that have conquered debt, and some tips from each on how they did it. What I found even more interesting in each profile is that each debt hero points out what their weakness was. Not surprisingly, it isn’t the same for each one. Also not surprisingly, that weakness played a huge part in each of their debt story. The book is a pretty quick read (about 177 pages if it were printed), and it’s full of inspirational stories about getting out of debt. It’s not another “get out of debt with these steps” book, but a book to give you inspiration in your own debt battle. Of course, the hope is that you read it and it gives you the push that you need to become your own debt hero. I think I would have liked to have seen a little bit more of each debt hero’s story. Each of the stories is accompanied by a link to where you can read the full story, so it’s accessible; I just haven’t progressed in my kindle reading to be clicking on links and such. If you’re looking for a little inspirational reading to help you keep on track (or get on track) with your debt elimination, I think you’ll find what you need inside the (electronic) pages of this book. Also, remember that you don’t need a Kindle to read the book. Amazon has Kindle apps for Android and iOS phones, as well as for PC and Apple computers, and most tablets. Pick up Debt Heroes today. You’ll read about it at the end of the book, but Jeff and Ben have also created a “Debt Heroes Club” that you can join to get more tips and inspiration at DebtHeroes.com. When you first see the image of who Hill Harper is (He’s an actor on CSI:N.Y.), you assume that this is just another book by a celebrity to boost his status and pad his wallet. What you get when you read this book, however, is another thing entirely. Not only is this not a book that Harper had someone write for him and then published using his name, it’s a thought provoking book that happens to be about wealth. If you’ve read many books on money and wealth, you know that a majority of them are dry, boring books to read. Harper manages to take what is a very important message about the role that wealth plays in our lives and melds it into a very engrossing story about life, success, and the real worth of wealth in our lives. He starts the story with a short few paragraphs setting up the story for the rest of the book. Recently diagnosed with cancer, he decided to take a train from Los Angeles to Chicago. The rest of the story is about the revelations he came to while riding the train. It’s a wonderful book that really cuts to the core of what wealth really is, and how, so often, we pervert it into something entirely different. This is a book about life, and how the way we treat our wealth, build our wealth, and live our lives really can make a difference, not only in our life, but in the life of others. 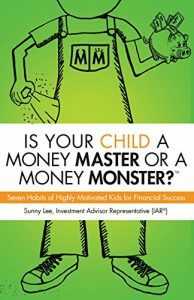 I would highly recommend reading it, especially if you find yourself struggling with the role that money plays in your life. Disclaimer: I was sent a copy of this book for free as a review copy.